Rupert Murdoch, the 84-year-old chief executive of Twenty-First Century Fox Inc, is preparing to step down and name his son James (bottom, left) as successor, CNBC reported on Thursday, citing sources close to the Murdoch family. The elder Murdoch would stay on as chairman, according to the CNBC report. It was unclear whether the reorganisation would take place this year or at the start of 2016, CNBC said. The next Fox board meeting will discuss the matter of succession, Bloomberg reported. 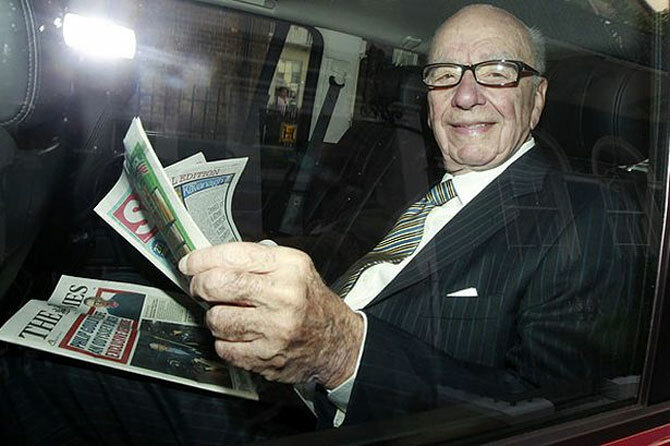 The Murdochs own 39 per cent of voting shares in Fox and News Corp, the company that operates newspapers like The Wall Street Journal and book publisher HarperCollins, through a family trust. Fox split from News Corp in 2013. A Harvard University dropout, James spent his early career as a cartoonist and co-founder of hip hop label Rawkus Records, which was bought by News Corp. He joined News Corp in 1996, at the age of 23 and was soon installed as head of the company's Asian assets, including Star India. 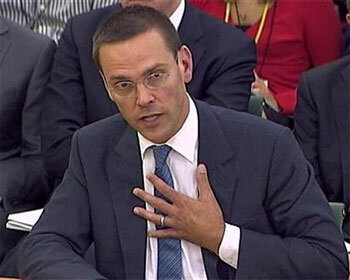 Four years later, he was named CEO of BSkyB, now known as Sky, that is 39 per cent owned by Fox. Some key investors have been warming to the idea that James has the ability to run Fox. In interviews, some top investors who know James, and other people familiar with the company, describe him as curious and a risk taker like his father. But they also cite two big differences that they like: James is less sentimental about certain assets than his father and he is more enthusiastic about courting shareholders. "James is a giant!" said Saudi Arabia's Prince Alwaleed bin Talal, a Murdoch family ally and one of Fox’s top shareholders with a 6.6 per cent voting stake, in a recent interview.